Nvidia and AMD have been fierce competitors in the graphics market for years. The competition has been so intense at times that market bystanders have described as nothing short of a figurative fist-fight between the green and red teams. Both companies are constantly evaluating the market, introducing new products, updating their pricing structures and chasing the never ending technological leap-frog. More recently, an example of such a leap frog occurred, not with a new product introduction as is usually the case but through driver updates. In a very interesting turn of events, not only did AMD’s Radeon R9 Fury X find itself surpassing the performance of Nvidia’s GTX 980 Ti, but all GPUs in AMD’s line-up saw a sizable performance boost thanks to new drivers. The contents of this revelation crystallized when our good friends at TechPowerUp ran the tests for their latest MSI GTX 980 Ti Lightning review. For which they updated their test suite to Windows 10 and benchmarked a wide array of graphics cards on the latest drivers from both teams. Let’s look at how drastically the numbers changed thanks to this move to the latest Windows 10 drivers. On the older test suite at 1440p we find that Nvidia’s GTX 980 Ti is ahead of the R9 Fury X by approximately 8% ( 118/109 x 100). We also find that Nvidia’s $469 GTX 980 is ahead of AMD’s $399 R9 390X by approximately 2% and finally AMD’s $319 R9 390 leads Nvidia’s $319 GTX 970 by 1% and is in an effective tie with Nvidia’s previous $699 flagship the GTX 780 Ti. In the midrange we find that the AMD $189 R9 285 is leading the $189 GTX 960 by approximately 4% (55/53 x100). At 4K on the older drivers we find that the performance gap between all graphics cards widens in the favor of the AMD cards when compared to 1440p results. The Nvidia GTX 980 Ti and AMD R9 Fury X come in at a dead head. We also see a dead tie between the GTX 980 and the R9 390X, with the R9 390 coming out ahead of the GTX 970 and the GTX 780 Ti. We’re less inclined to look at how mid-range GPUs fair at this resolution, as it’s far too demanding for this class of graphics cards realistically speaking. However, we see the R9 285 leading the GTX 960 again here as well. At 1440p and after the update we see the 980 ti’s 8% lead shrink to 0% putting it in a dead heat with AMD’s R9 Fury X. We also see the R9 390X now ahead of the GTX 980 by 3% (68/66 x 100) prior to it being 2% behind. We also see AMD’s R9 290X leading Nvidia’s GTX 970 by nearly 9% (62/57 x100), a 9% improvement over the previous standing in which both cards were tied. More fascinating is how the R9 290X now compares to the GTX 780 Ti. The R9 290X was the flagship from AMD back when it launched in late 2013 for $550 and Nvidia answered back with the $700 GTX 780 Ti which was regarded as the faster card at the time. Today the R9 290X is leading the GTX 780 Ti by 5%, a card which debuted for a 27% price premium. The difference is even more shocking when we look at the R9 290 and the GTX 780. Cards which sold for $400 and $500 respectively for the majority of their lifetimes. The R9 290 now leads the more expensive GTX 780 by 16% (57/49 x100). With the latest Windows 10 drivers at 4K, the R9 Fury X jumps ahead of the GTX 980 ti by 5% (84/80 x100). The R9 390X secures its position ahead of the GTX 980 as well. And we see the R9 290X as well as the R9 290 this time surpassing the GTX 970 and the GTX 780 Ti. In fact the performance of all AMD graphics cards improves significantly from the previous drivers, including the mid range and even the entry level offerings. Worthy of note is that these drivers aren’t part of the upcoming Crimson Edition Radeon Softawre. Which is a completely re-designed affair which replaces Catalyst Control Center with Radeon Settings and promises to deliver a wide array of user interface improvements as well as performance optimizations. So it’s going to be really interesting to see how much of an additional improvement these upcoming drivers will deliver. We didn’t really expect the competitive landscape of graphics to change as drastically as it has and we certainly did not expect it to come via driver updates, but it’s happening. This development perhaps may also incentivize Radeon gamers who are currently on Windows 8.1 and 7 to upgrade to Windows 10. What’s perhaps the most exciting aspect of all is that because these performance improvements are achieved through the drivers they’re free and immediately accessible to everyone. 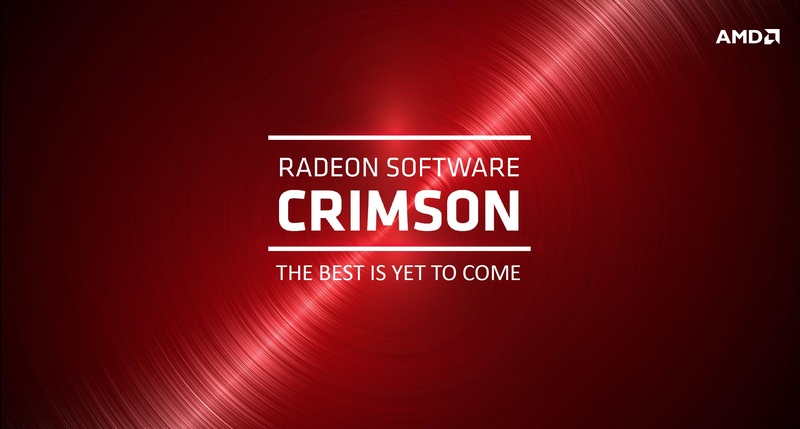 So Radeon users will be able to enjoy the benefits simply by updating their software. Getting a free performance boost without having to fork out a decent sum for a hardware upgrade is never unpopular. So it seems the ultimate goal of having one’s cake and eating it too may not be far fetched.